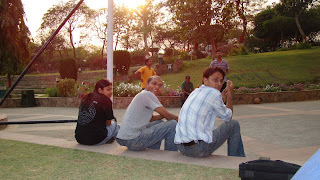 In the plush lawns of International Management Institute (IMI) Institutional Area, Qutb Institutional Area, New Delhi, this correspondent runs into a bunch of listless students whiling away their time, playing cricket, after the institute failed to place them in any of the corporate houses that turned up for the placement season. That was as of Friday, the 13th, March 2009. “We have placed 62 of our 119 students in the first round of placement,” says Prof CS Venkata Ratnam, Director of the institute, surmising, “We hope to place the rest through our HR programme.” The programme had commenced on 20 January, he informs. Out of all the companies that had visited IMI last year, several did not turn up this year. Conspicuous in their absence were banks and Non-Banking Financial Companies (NBFCs). Those who came recruited less. The average annual CTC the recruiters offered witnessed a 10% dip from last year’s corresponding figure. Prof Ratnam expects the yet-to-be-placed candidates to have to do with a 25% reduction in remuneration offered. Worse, some BPOs that have hired MBAs from IMI are apparently reluctant to issue appointment letters to the candidates. The problem is: the institute is legally not bound to address the issue once the student accepts a placement, howsoever dodgy, and steps out of the campus. And how would the institute know beforehand that some recruiters would act funny once they know that the candidates have no fallback option? Elaborating on the reasons for the poor show, besides the known worldwide economic condition, the director explains that several expected recruiters did not get a green signal from their headquarters. Further, now they have more choices. “It’s turned from a seller’s market last year into a buyer’s market this year,” he says, explaining that in 2008 they had categorically turned down any company that offered an annual pay package of less than Rs 6 lacs. This year they couldn’t afford to be that choosy. But nobody was caught unawares. 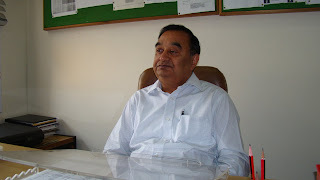 Prof Meghnath Mukherjee, in-charge of Human Resource and Organisational Behaviour (HR & OB), IMI, informs that beginning September last year, students were being cautioned again and again about the impending critical employment scenario that would unfold when they would be ready to set foot outside the college. “Students were trained through FAQs and HR aspirants were imparted thorough knowledge of company laws,” he says. Prof Ratnam adds, “For the first time we hired professionals for psychological counselling.” Attending those sessions were, of course, voluntary and paid for, not mandatory. IMI had hired Illumenta Inc, a North Carolina-based behavioural training and development enterprise. The strategic alliance was meant to impart advanced behavioural skills to professionals in order to meet up with the new demand of international work culture. How much that helped remains a question though. The students with long faces this correspondent came across outside the placement cell could recall no “special” counselling session. Even those who were successfully placed did not sound upbeat. “The media couldn’t quite predict and project the extent of the problem,” opined Devam Chandra, who found employment in Financial Information Network and Operations Private Ltd (FINO), a venture in which ICICI is a major stakeholder. What’s noteworthy, this was his first attempt at securing a job during the current placement drive of the institute. He obviously wouldn’t bear any grudge for IMI. But as he recounts that the average CTC offered this year is Rs 6.5 lacs as against last year’s Rs 8.7 lacs, he shares his worry of repaying an education loan to the tune of Rs 4 lacs through EMIs of Rs 10,000 and argues that it is for this primary concern that there was nothing outlandish about the kind of salaries demanded by his predecessors. Kumar is credited with launching a concept that’s the first of its kind. His firm, Neo Knowledge, is working to enhance the “employability of graduate college students through a multi-pronged approach on the one hand and help the industry identify the ‘employable of tomorrow’ at an early (pre-recruitment) stage”. Through organised events that include seminars on the World Wide Web, he makes candidates meet those who have struck it big in the industry, where the latter mentors the former and picks up the best of the lot as per the respective needs of various corporate houses. He explains that a company that approaches a B school pays a hefty sum to be there and often ends up with few candidates to choose from, that too based somewhat on the institute’s feedback. 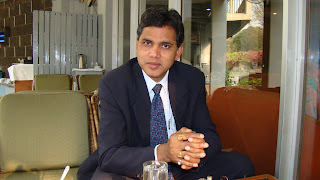 Kumar, who has succeeded in bringing together scores of business graduates, management teachers and recruiters onto a single, convenient platform of interaction, co-interviewed the directors of IMI and Indian Institute of Foreign Trade (IIFT) along with the Head, HR, of Dabur India Limited, giving this correspondent an opportunity to witness how his business works. The students he spoke to agreed to be a part of alumnus programmes of the institute, which would in a way help his business if he could get into their forum as a facilitator. Relying solely on ‘blood’ is, however, not the last resort of every B school candidate frustrated by the inability of the institute to place him. 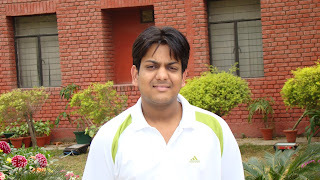 Facing a similar situation, Ankur Maheshwari from IMT, Ghaziabad, has come up with a unique concept in retailing and has struck a deal with Domino’s Pizza India Limited, Aadhar (the retailing division of Godrej & Boyce Manufacturing Company Limited) and Aditya Birla Retail. The retail sector being severely hit by the slowdown does not deter him. He finds Subhiksha’s closure a case of bad debt servicing. Agrees management guru Dr Amit Kapoor, Honorary Chairman of Institute for Competitiveness and Professor of Strategy & Industrial Economics at Management Development Institute (MDI), Gurgaon. He does not attribute the aforementioned retail chain’s failure to sustain in the business to the economic downturn. In case of real estate, he found the pricing by “frenzied” contractors — he mentions DLF in particular — till last year overhyped. “This is, therefore, a year of rationalisation,” he says. 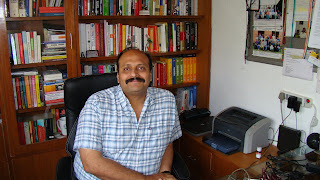 Dr Kapoor has to his credit a student, Sachinn Garg, who has in a way pre-empted the possibility of the slowdown continuing till next year, when he will emerge with an MBA degree from MDI, by authoring a book, A Sunny Shady Life (Srishti Publishers & Distributors). Thinking out of the box, Garg is open to the idea of making a career out of writing as much as he wants to launch a publishing house, applying the skills his MBA degree would enable him with. Garg could find Srishti that was, unlike established publishing houses, keen on giving new authors a chance. Fortunately for Garg, his father, a government servant, welcomes his son’s idea of trying to establish a business of his own rather than looking for a job after the MBA. “Because it’s scared your talent could one day pose a formidable threat to its business. And the moment you accept being hired, you actually give in to the company’s effort of killing your creative drive.” Dr Kapoor gives the instance of Google. “Had Yahoo foreseen the threat coming from what is now the most popular search engine, it would have bought up Google ten years ago,” he hypothesises. Dr Kapoor looks upset with the state of B schools till last year that, according to him, had become an “employment exchange of sorts”. There is a tremendous need to “incubate companies”, he opines, a job that had been neglected by management graduates and recruiters alike till now. Dr Kapoor is optimistic about the Indian economy as he cites the case of Pepsico, which witnessed a growth of 28% last year, in particular, while speaking about the FMCG segment in general. The economy will be buoyed again by “this phenomenal internal consumption”, he thinks. Covering an array of sectors, Dr Kapoor mentions Jet Airways’ overnight sacking of about 1,100 employees “a gimmick meant to attract government’s attention”. On banking, he believes valuation had gone awry, adding, “The private sector is more cautious now because their cost of funds is remarkably higher than that of nationalised banks,” as the latter can always look up to the government for support, which the former can’t. The condition of the economy has affected the bank’s corporate planning as well, Sinha reveals. “Till last year, there used to be an annual plan. Now nobody is ready to predict the scenario of the fourth quarter (of the financial year), for example. We’re taking each quarter as it comes. Everyday is a new day,” states Sinha. Sinha refuses to share any raw data concerning her employer vis-à-vis the employment scenario in her office but concedes that both lateral hiring and recruiting from campuses went down this year. Mercifully, “we could still offer the remuneration packages that we did last year to all those we hired,” she says. There is no retrenchment in HSBC, she informs. “We don’t believe in downsizing. Can we redeploy rather than fire? That’s the test of good HR personnel,” she says, claiming some credit for the department she heads. Is the redeployment being witnessed across all sectors? 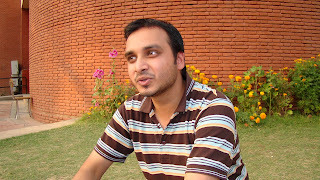 Asim Handa, Country Head, Futurestep, is asked. This placement agency was founded in 1998 as Korn/Ferry International’s scalable, outsourced recruitment subsidiary to specialise in Recruitment Process Outsourcing (RPO) and professional recruitment. He echoes Dr Kapoor’s stand that the emoluments and allowances being paid to employees till 2008 were unrealistically high. Going by the recruitments Futurestep has facilitated, he says the basic industries have not seen any slump. Nor has the insurance sector. It’s the otherwise grim scenario that Indian Institute of Foreign Trade (IIFT) had successfully predicted much in advance. The institute showed its prudence in appointing a former corporate person as its Corporate and Placement Adviser, Munish Bhargava (ex-Aditya Birla Group). And the result shows. 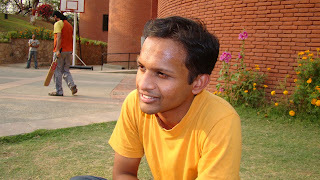 Unlike IMI, IIFT had successfully placed 80% of its 168 candidates when this correspondent met with Bhargava on the same date — 13 March. “Public Sector Units (PSUs) were the focus this year,” says Bhargava, adding, he had to take into consideration the government sector’s cumbersome protocols for recruitment, for which he contacted them right after Lehman Brothers Inc went bust. “So far, management institutions were not looking at PSUs; the students too used to turn down the few offers that came from government undertakings. As a result, the sector lacked go-getters in their ranks. Now that the employment scene is bad in the corporate sector, the students are looking for more security in their jobs. So, it’s a win-win situation for both.” Among others, GAIL, SAIL and BHEL have recruited from IIFT this year. A major section of the private companies that turned up during the placement season were those dealing in logistics, those trading carbon credits and those manufacturing farming products and rendering allied services, the three sections not affected by the slowdown. While banks had taken away 38% of IIFT’s graduates last year, this year the corresponding figure is 15%. Bhargava thinks a kind of uniformity with respect to sector-specific recruitment would emerge at the end of the placement season. Notably, placement had finished in a single day last year while this year it’s a “rolling process”. “Counselling students — a part of which was preparing them for a possible employment crisis — was a normal part of the curriculum, based on the prevailing market scenario at a given point of time. There were no special or extra sessions conducted for the purpose,” informs Bhargava. To be safe, IIFT contacted a larger number of potential recruiters this time. On salaries, Bhargava tells this correspondent that the average package offered by recruiters to candidates from IIFT last year was between Rs 10 lacs and Rs 11 lacs. “This year, so far, the average is in the range of Rs 8 lacs and Rs 9 lacs,” he informs. There is one factor that still makes it appear an employee is in the driver’s seat, points out Bhargava: Recruiters who offered slashed CTCs to MBAs this year now fear that once the economy looks up again, these candidates will leave for better paid jobs in hordes. Bhargava had started hard-selling the virtues of his institute’s students early, telling potential recruiters that an IIFT candidate means one of 200 selected after a rigorous test which was taken by over 45,000 aspirants. “It’s a blessing in disguise. 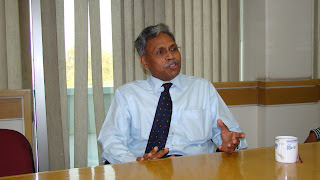 The MBAs had become too arrogant for any employer’s liking,” opined Sudhakar. This opinion was shared by at least two other interviewees: Bhargava of IIFT and Dr Kapoor of MDI. The latter went to the extent of calling salaries that were being offered to fresh MBAs till last year “obscene”. Dabur normally recruits an average of 15 fresh MBAs annually. 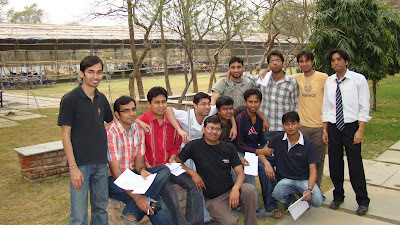 This time the number dropped to six, one each from Indian Institutes of Management (IIMs) – Kolkata and Indore, SP Jain Institute of Management & Research and Narsee Monjee Institute of Management Studies – Mumbai, Symbiosis Institute of Business Management and Symbiosis Centre for Management and Human Resource Development – Pune. 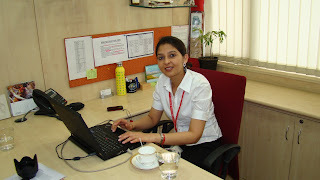 The first two recruitments happened through Pre-Placement Offers (PPOs). Dabur was placed in the first slot of recruiters by the remaining four institutes, which was not their practice till the last year. The drop has nothing to do with recession, insists Sudhakar. “We’ve had no attrition,” he explains. The claim must be true. After all, there is no palpable slowdown in the sectors where several of the products the company manufactures and markets are placed. Essentials like Dabur Amla Hair Oil, Vatika Shampoo, etc are just two examples. Moreover, leaving aside the US, the UK and the UAE, the countries to which Dabur exports — Nepal, Bangladesh, Egypt, Nigeria — are still witnessing a mere sluggish economy that cannot be termed recession. The only segment that has seen a slump is that of its premium juices. For, its major consumers are airlines and hotels, both badly affected by the international economic phenomenon. Also, the US dollar rose too high with respect to the Indian rupee in the last quarter, making Dabur incur some losses in commerce. “But (considering the) net, we’re comfortable,” Sudhakar says. “Recession cannot be a perception; I have seen it in Dubai,” says Sudhakar. He tells this correspondent that a guest house which his company wanted to buy last year in the flagship city of the Emirates was priced at 3.5 m UAE Dirhams. Dabur had shelved the idea on being quoted such a steep price. “Now the promoter is offering us two houses for the same price. And our agent is asking us to wait a bit longer, expecting the price to fall further down in April,” he adds with a grin writ large on his face. “The quality of intake will go up in management institutes this time,” Jain presumes. 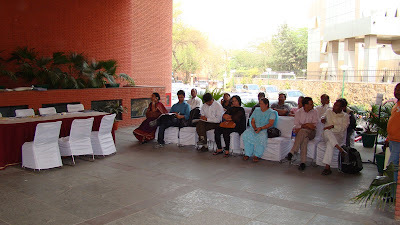 As on 16 March, IBA had placed 90 students out of a batch strength of 173. Now that two widely travelled Indians had classified the international scene as recession, it was time to cross-check it with an expatriate. The question was hence put to Ashwin Kumaraswamy, a venture capitalist operating from Preston, Manchester and Rotherham, the UK, who migrated from Bangalore several years ago. He is now an Investment Manager at Enterprise Ventures. The slowdown has affected Kumaraswamy’s portfolio companies in various ways, elongated sales cycles being one instance. He explains that companies need more money to achieve their set targets and raising money in this market is proving very difficult and “we don’t see any realistic exit valuations”. All these factors mean pressure on current investors to bank roll the company, which, in turn, means more resources have to be allocated to the portfolio companies vis-à-vis new investments. “This increases the risk on portfolio and eventually the returns we can offer to our investors,” he concludes, adding in a subsequent mail that the views above are his own, not of the company he works for these days. 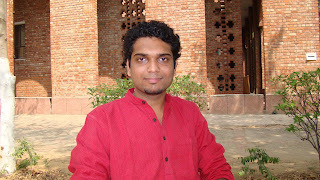 Hitesh Arora, a fresh MBA from the group who has been placed in LMJ International (an export house), disagrees. As he enumerates the rural and FMCG sectors, he is outshouted by the lot (see the group photograph of freshers from IMT, Ghaziabad). Arora is happy with the Rs 30,000 p.m. package offered by his first employer. Equally calm is his friend Vinod Johri who has got a job with Bharti Airtel Limited which, in fact, hired six candidates from his batch. 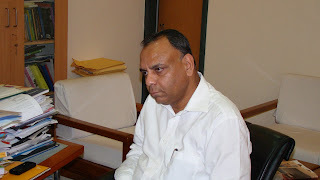 This correspondent’s meeting with Dr Sahay was significant for a marked difference in the philosophy of economics. Though I had heard of the advantage an institute (IIFT) had had for approaching the public sector from Bhargava, it was here that an advocacy of socialism was noticed. Dr Sahay lamented the fact that while the entire developed world was going back to its old ways of bringing more and more industries under state control, it was in India that there was an incorrigible, unending push towards privatisation. But before Dr Sahay could be labelled as a socialist came a paradox. Like his peer Dr Kapoor, he wondered why students were not taking this as an opportunity to launch their own businesses. Well, if an overwhelming number of students turn entrepreneurs, they wouldn’t hand over their companies later to government, would they? So, whatever will happen to the state-control of industries? 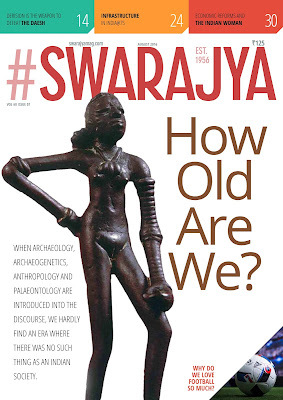 That’s a hypothetical situation which may not materialise, given the “resistance from family” and a reluctance to ‘sacrifice’ a well-paid job — the two factors that Dr Sahay finds as commonplace in a large section of Indian society. Before submitting this report, it was checked if the story could end in an optimistic and not a sombre note. 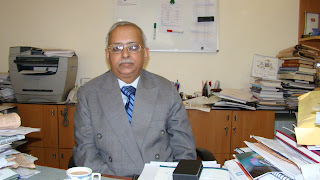 Prof S Parashar, Chairman, Placement Cell, IMT, Ghaziabad, was called on phone to get the latest placement figures. It was a pleasant irony that the institute from which I received the angriest of reactions fared the best in employment. IMT witnessed the highest annual salary of Rs 21 lacs being offered to a student by an MNC. The highest ‘bidder’ from the domestic market made a call to the tune of Rs 13 lacs. The overall average of annual CTC offered was Rs 8 lacs. The largest recruiters, in sector-specific terms, were telecommunication and insurance companies. Most of the 348 students had been placed as on 21 March and the “remaining shall be placed this week and the next,” Prof Parashar sounded confident. I had been looking for your take on the General elections this time round , but you have been conspicous by your absence :) ... or have i missed your analysis somewhere else ?